Back at Computex, Asus announced a new ViVoPC mini, but details of the company's tiny Windows 8 computer were pretty scarce. At that point, we knew it featured some built-in SonicMaster speakers, 802.11ac wireless support, and a metallic metal design. But that was pretty much all the company revealed. Now, Asus has posted a full spec sheet on its website, and it turns out there is quite a bit to be excited about. The biggest thing we've learned about Asus' upcoming PC is how much customization it offers. Basically, none of the specs is set in stone, users can pump up the power or stay light to (pressumably) keep it budget friendly. In terms of RAM, the official spec sheet says it can handle two DDR3 sticks, for up to a total 16GB of memory. 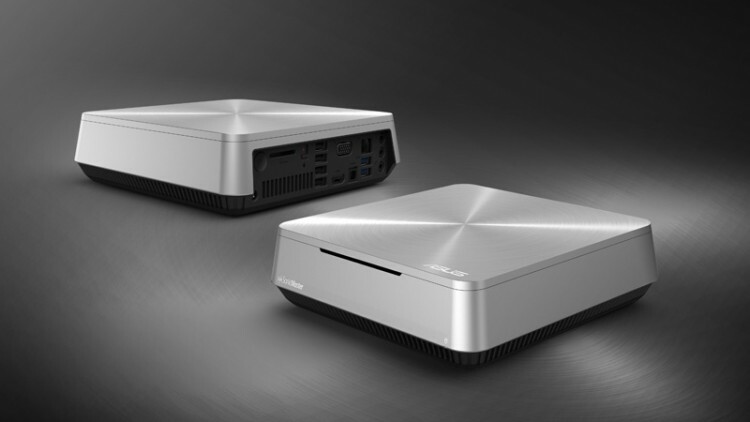 For the processor Asus simply lists Intel but apparently that will include a range from the new Haswell lineup, while on the storage front the ViVoPC can accomodate a single 3.5" or 2.5" HDD or SSD. Connectivity-wise, in addition to the aforementioned 802.11ac Wi-Fi, you also get Bluetooth 4.0 and an Ethernet jack. A decent array of ports round out the specs with two USB 3.0, four USB 2.0, HDMI-out, VGA, three audio jacks, and SPDIF out. Not bad for a computer that's just 190mm long, 190mm wide, and 56.2mm tall. Pricing and release details were not announced at this time, but hopefully Asus makes those last critical details available sooner rather than later. It's also unclear if the ViVoPC will be available as a barebones device but given the company doesn't mention any specific hardware components that might be the case.